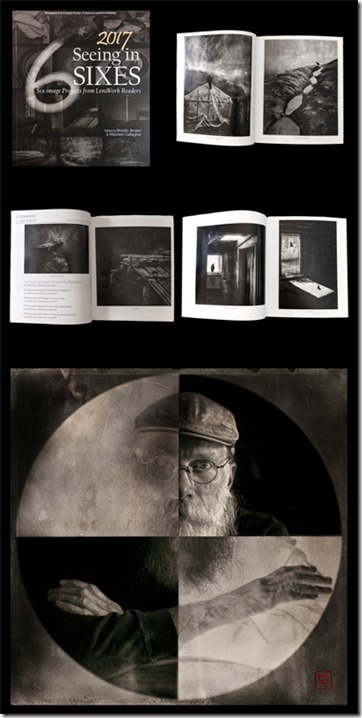 Lewis Anderson Selected for the 2017 Publication of "Seeing in Sixes"
Gallery artists, Lewis Anderson, was recently honored to learn that he was published in a new book by the prestigious editors of LensWork in their new book titled “Seeing In Sixes”. After reviewing over 1900 international projects for the book, Lewis and 49 other artists were chosen to show their work in the format of 6 images with text text which in Lewis’s case included a poem titled “Crossover”. This was the second year in a row he was chosen to be included in Brooks Jensen’s and Maureen’s Gallagher’s book from LensWork Publishing. See Lewis Anderson's work on our website or in the gallery. If you would like to be kept in the loop on new work as it becomes available please contact us and we will keep you posted.